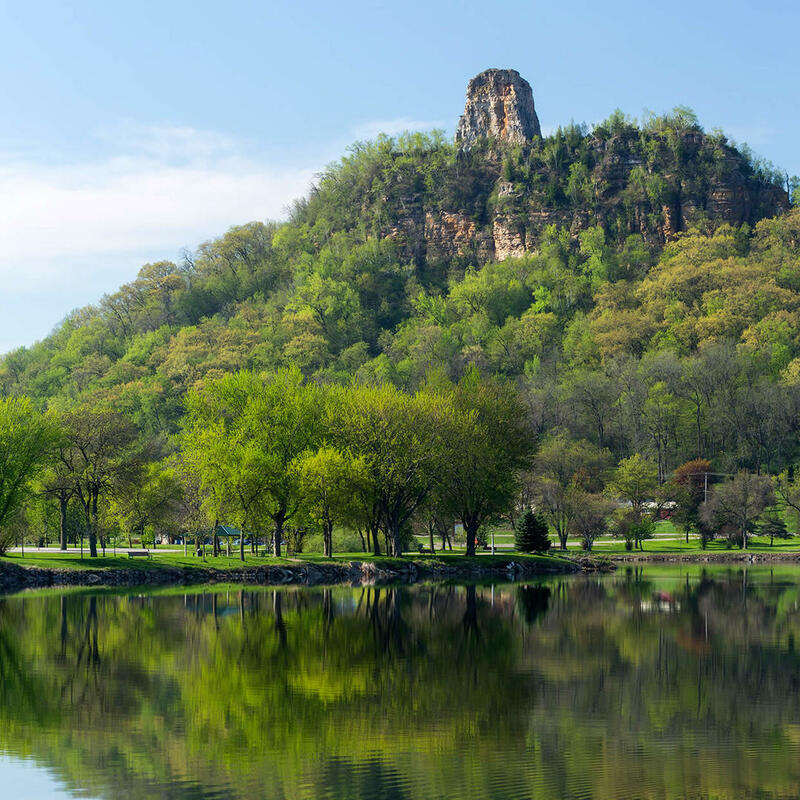 This bluff, with the slender 85-foot pinnacle sticking out from the top, rises 500 feet over Lake Winona. The conical shape of the pinnacle is the result of quarrying. Although there isn't a direct trail leading up to the quarry, you can get your exercise for the day and hike up the bluff.